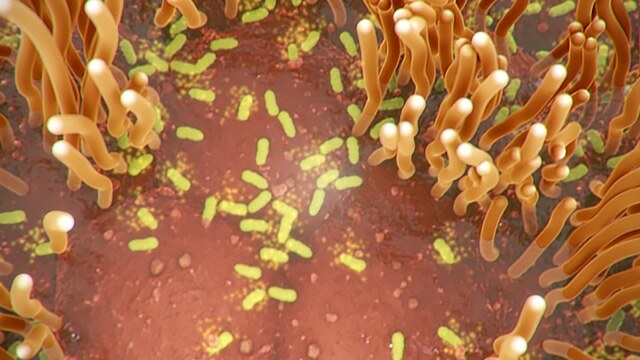 Micro-landscape view of respiratory cells, an accumulating layer of mucus, and Bordetella pertussis bacteria releasing toxins. A coughing event is occurring here, displacing mucus, the bacteria, and debris. Also known as whooping cough, pertussis is a highly contagious airborne disease that spreads simply through the coughs and sneezes of an infected person.